Research, design and planning of rural low-carbon transportation with realization of selected features, e.g. 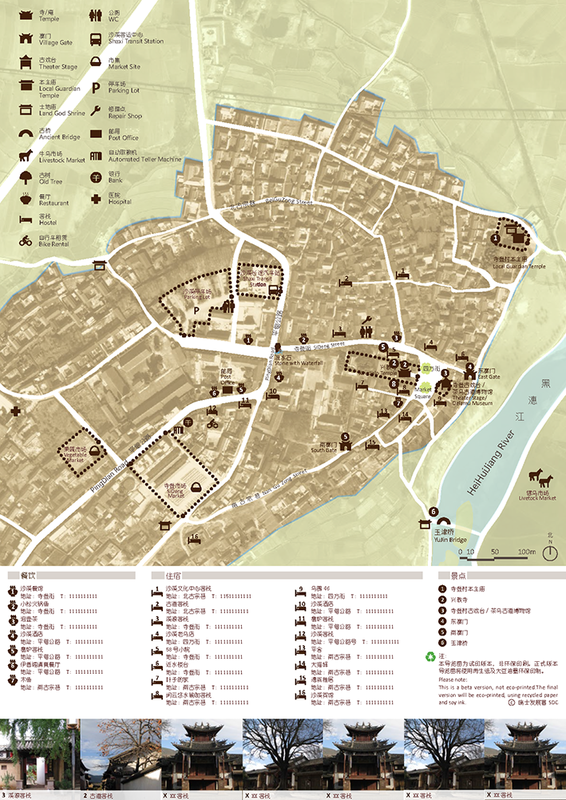 hiking network, bike rental, donkey trekking, maps & brochures, low-carbon paths, etc. The introduction of marked and signaled hiking, biking, trekking and horse riding trails allows visitors to experience the beautiful valley in diverse ways. This also incites visitors to stay longer, connect and stay with local families in the many villages and spend their money with the local inhabitants instead of with an external tourist agency. 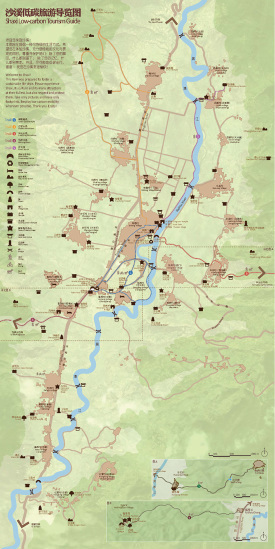 A holistic signage system with different types of signs, assigned trail colors and mobility types and info about places and attractions allows visitors to know about and create an attachment to the valley. Signs are made of local stone, are carved by indigenous craftsmen, are shaped and sized to be transported by local mules and are placed as sparingly as possible. Local, red sandstone slabs represent the main material for NMT paths. Two base arrangement modules (A and B) are expanded into 8 arrangement modules by mirroring and rotating. Recycled materials, such as tiles, bricks or glass bottles, are inserted in modules A as an identification marker. 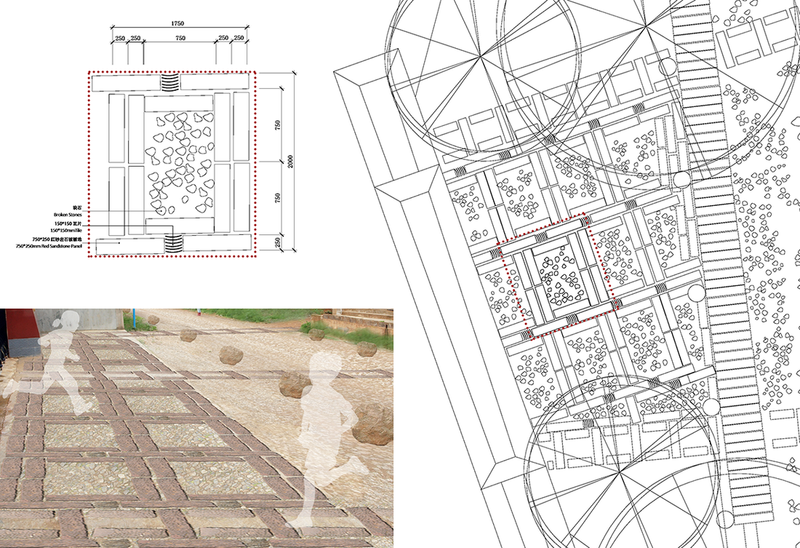 With these simple rules, continuous, random looking, comfortably scales paths can be created throughout the Shaxi Valley. Similar to the path pattern, a plaza pattern is arranged. In order to make non-motorized mobility more convenient and efficient for locals and visitors, new NMT links are added into the traffic network, such as bridges and shortcut paths. This bridge will span the HeiHui River at the Local Guardian Temple of ZhongDeng Village. it is constructed primarily of stone and wood, with some concrete and steel added where necessary. Besides a bike rental system that favors the locals, new rental stations, unified bikes and visual identity, etc. 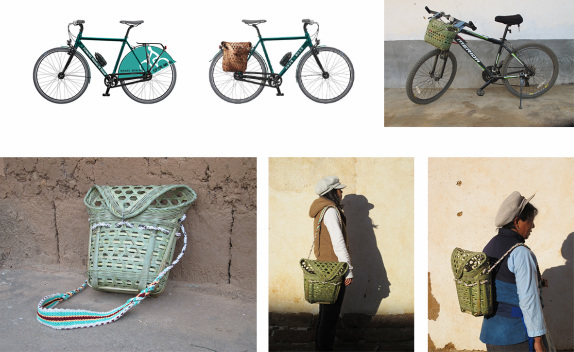 we also initiated locally hand crafted accessories that are used on the rental bikes and can be purchased by visitors. 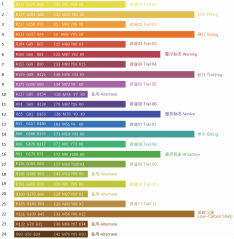 Shaxi Low-Carbon Tourism Guide. Front Side. 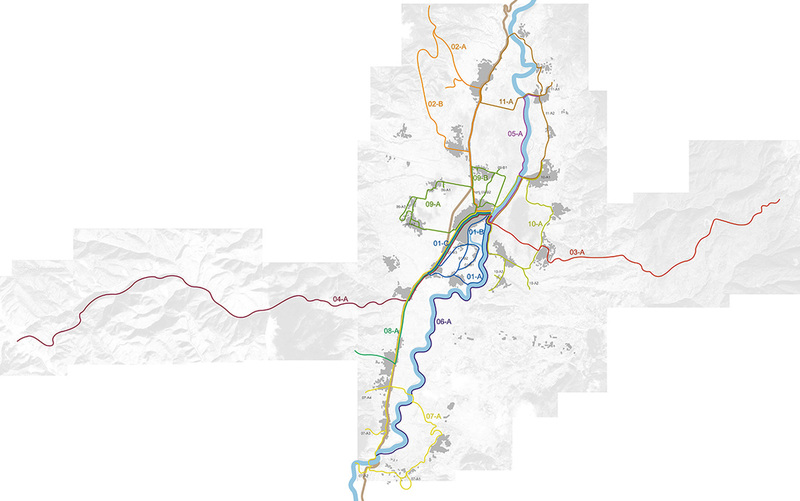 Valley map showing all attractions, services and trails, as well as village names and administrative organization. 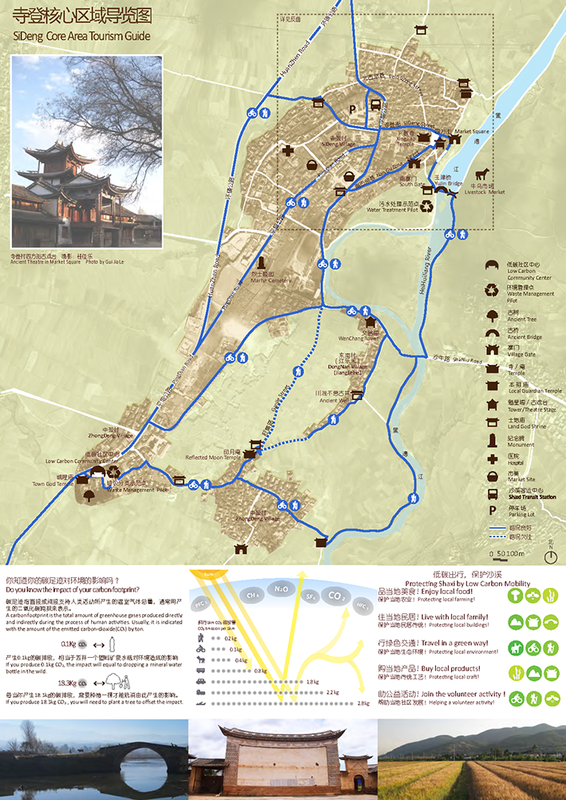 Shaxi Low-Carbon Tourism Guide. Back Side. 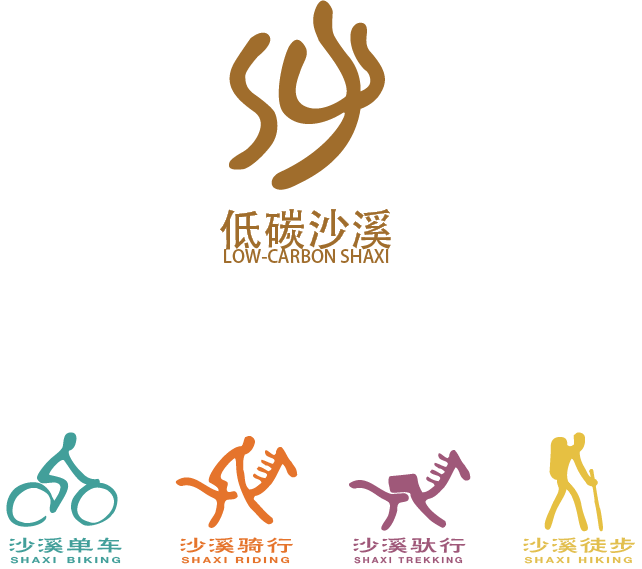 Explains low-carbon issues, Shaxi trails, traditional events throughout the year, and Shaxi products on offer. 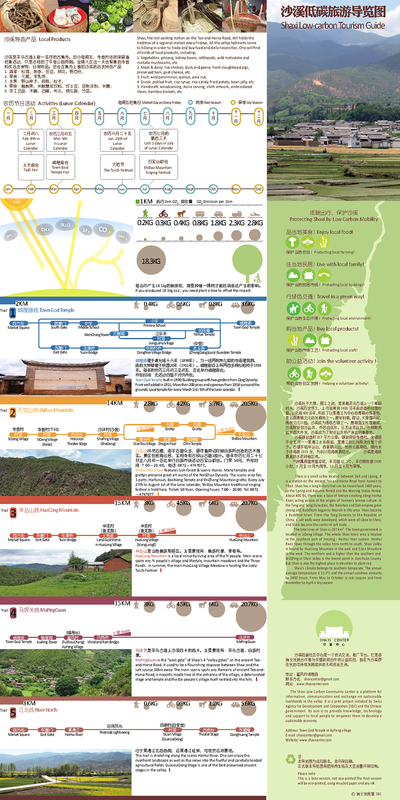 SiDeng Village Low-Carbon Guide. Back Side.